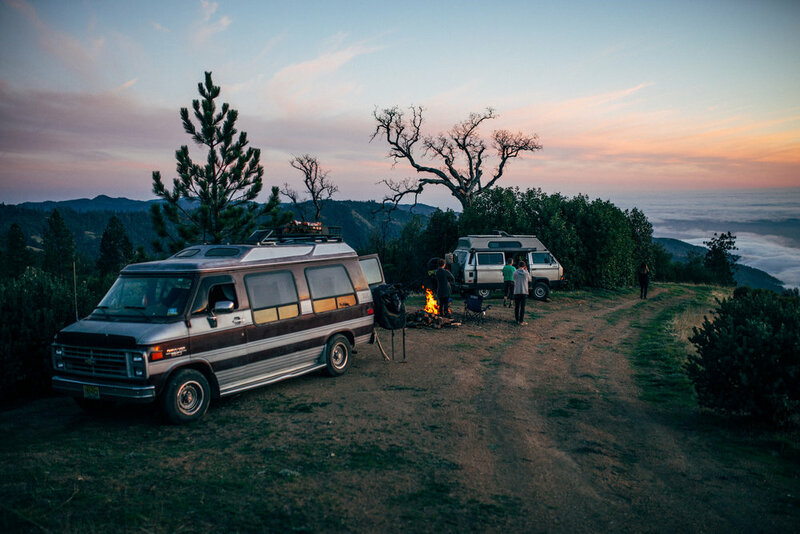 I remember seeing photos of people living #vanlife on Instagram and assuming they were always traveling. 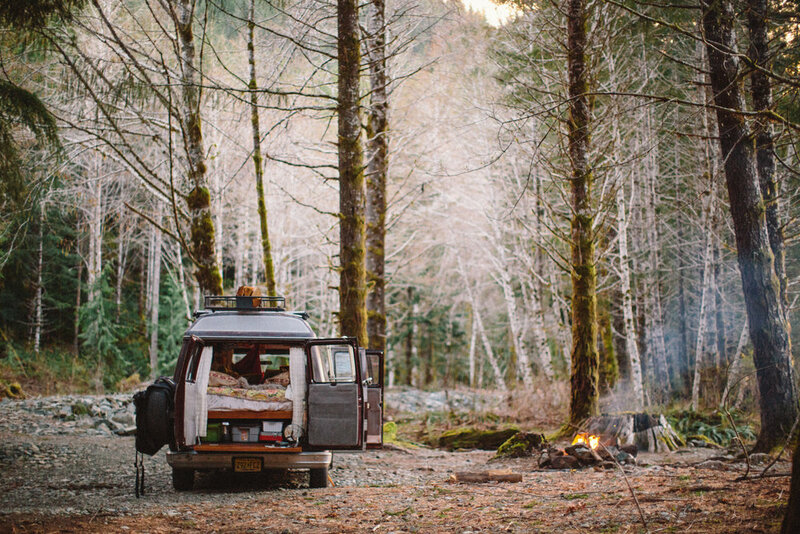 So it's no surprise my shock when I learned that these same people took breaks and sometimes lived in other structures besides their van between adventuring. You often don't see those photos posted, the ones where we're catching up on work or laundry or time with family. But we all have periods of stop and go, don't we? Take Parker and Jenelle. They went from six months on the road to six months off, and now they're gearing up to head out again. 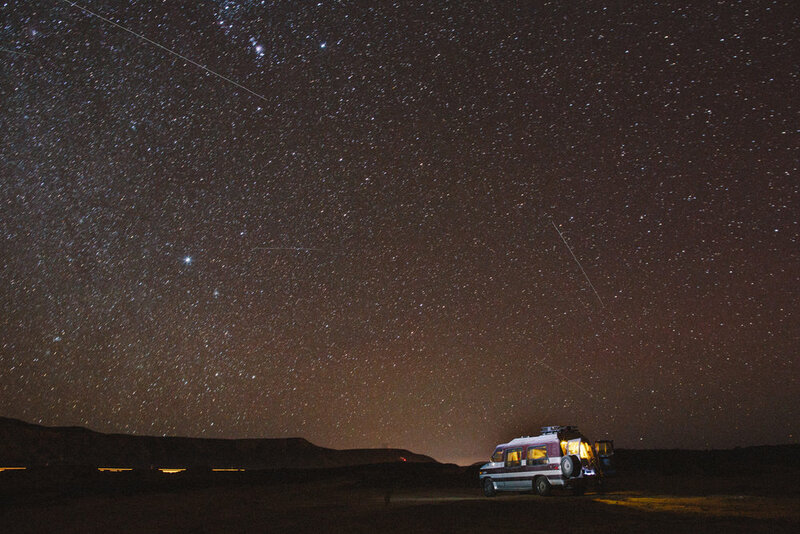 What's it like to be in between vanlife? 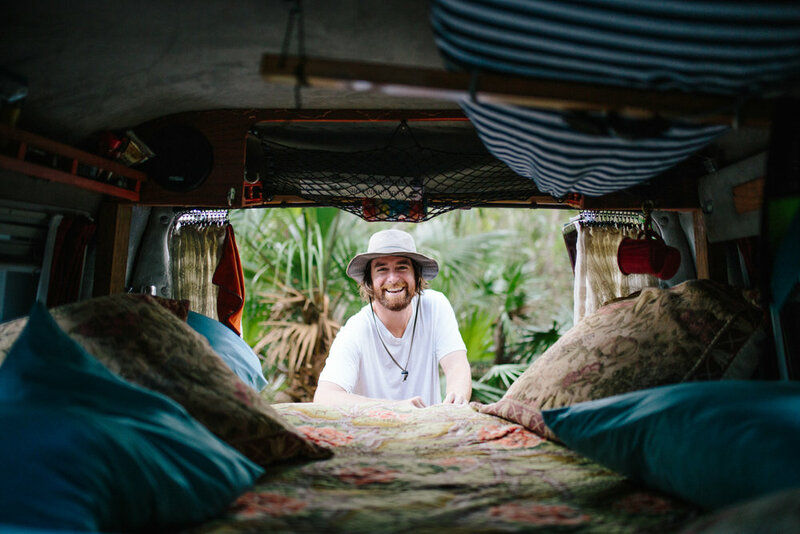 Parker takes us to living inside a house looking out to his van. The rain pattered down just beyond the window, and with every breath, the sun dropped a little lower, taking with it any semblance of life. A storm moved in and the east coast was about to be coated in snotty, wet, heavy winter, as only the east coast could. Winter here—in New Jersey, specifically— doesn’t mean light, fluffy snow and sunshine. I learned long ago that my dreams of snowmen and sledding would only come once maybe twice a year. Winter here meant grey single-tone, chill-you-to-your-bones, wet, cold. The kind of cold that leaves you perma-chilled in November and doesn't warm back up until May. So I stood, sipping my tea. Just above the white-columned cast iron heater gazing from our Airbnb window. Attempting to thaw from the inside and out, well aware of what we were in for and grateful for the fact that we were indoors. 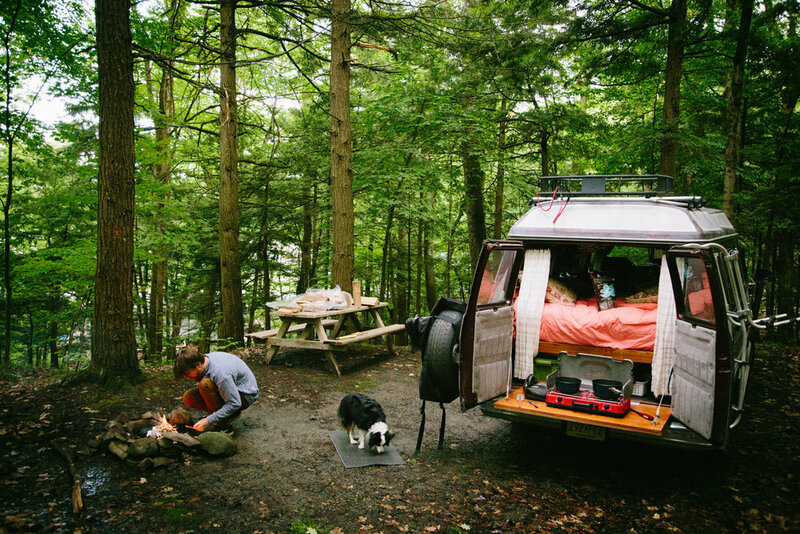 Our van, a beloved custom 1987 Chevy G20 Tern conversion, affectionately named Scarlet JoVanson, was not so lucky. She sat outside taking the full brunt of this oncoming nor’easter. “You’re insane,” my fiancé, Jenelle, said from the kitchen in an effort to quell her own concerns. Scarlet’s solar panels sat caked in ice and her new-(ish) awning and off-road tires sat horrifically unappreciated. We had been off the road for just over a month now and decided to stay back east for the winter. An effort to catch up with ourselves for a period of time. File taxes, organize photos, write and plan—maybe squeeze in a dentist appointment if there was time. When we made the call, it seemed like the right idea. But now, standing here straddling this heater, I was having second thoughts. I had been in perpetual motion for just over three years while Jenelle had been moving in her own right for almost as long. Stagnation, historically, had not done me many favors. It stirred up anxiety and instilled restlessness, but now I wanted to challenge that. After eight months on the road, a brief period of sitting still introduced me to both Jenelle and Scarlet, which then led to another seven months on the move. Flat tires? Blown engines? Poor choices in a rum-soaked haze? Those kinds of things we can’t possibly foresee, but we can adjust to make the most of them. It’s a fool’s errand to attempt to navigate the future or the past, and as soon as you try to get a grip on it, the now passes, like loose sand on a windy day. This “ownership of one's self” mentality took 12 countries and almost 35 states to nail down, and I’m far from mastering it. But as I sat and studied the intricacies of our ice-crusted van, it seemed very important. Jenelle called across our temporary living room as dinner was gingerly placed on the table. I sat and met my fiancée’s eyes as we touched our wine glasses together. Her fluid probably needs changing, I thought, as I looked lovingly into Jenelle’s eyes. We haven’t checked Scarlet’s transmission since Florida and we’ve gone well over 30,000 miles since then. As a matter of fact, those solar panels that are caked in ice right now could probably use a resealing, and I have been itching to see if I could finish that reclining bed frame. Maybe this go-round, stagnation could do us some good. I could finally get a check up. Maybe I’d have time to properly redo my website. Jenelle might have time to rebrand. This might not be so bad after all. Maybe this will be more of a recharge than a forced stillness. That’s what makes this adventure of life so beautiful. There’s room for all of it. Nah, Scarlet won’t be neglected. She’ll be pampered. I cut into the seared tuna steaks Jenelle had served up thinking how it was a nice vacation from the rice and bean concoctions and stews of road life. I sipped my wine as if triumphantly finding my throne in the suburbs. Jenelle took a sip of wine as well and sat despondent, lost in thought for a moment. All photos credit to Parker Hilton & Jenelle Kapp.